Some of the most illustrious names in the Renaissance canon, from Raphael to Titian, are associated with the art of chiaroscuro woodcuts, in which printmakers used multiple inked woodblocks to yield different colours. But until recently scholars largely did not understand the making of these 500-year-old works. 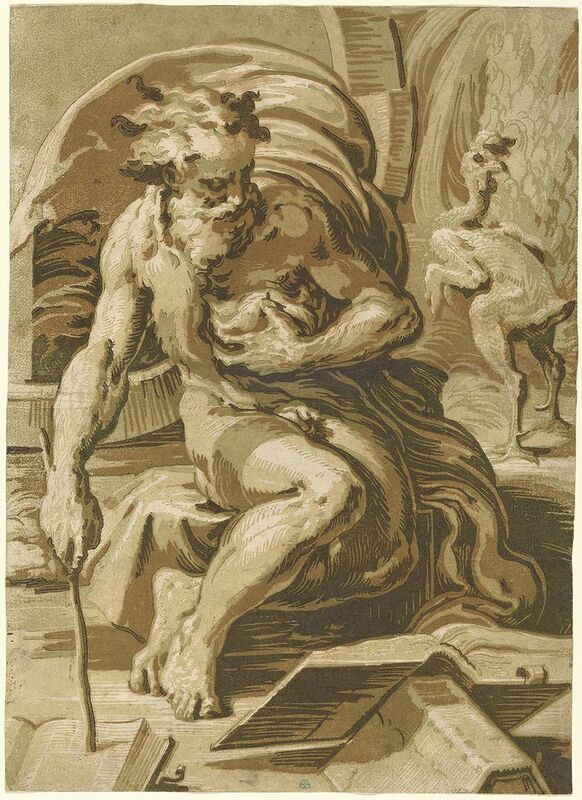 The Chiaroscuro Woodcut in Renaissance Italy, an exhibition running through 20 January at the National Gallery of Art in Washington, aims to remedy that research gap, says Naoko Takahatake, curator of prints and drawings at the Los Angeles County Museum of Art (Lacma), which organised the show along with the National Gallery. In a collaboration between Lacma and Library of Congress conservators in the run-up to the show, materials scientists replicated Renaissance designs on woodblocks. Artists at the Maryland Institute College of Art then inked the blocks and printed woodcuts on both wet and dry papers, while also experimenting with different degrees of pressure and rates of speed in the press. That effort to recreate the process underlined “the impact of a printer in influencing the final image”, Takahatake says. The printmaker Ugo da Carpi, who was born around 1468-70 and died in 1532, is generally credited with inventing the chiaroscuro woodcut technique. He applied for the Venetian version of a copyright to protect his “new method of printing in chiaro et scuro”, or modeling in light and shadow, in 1516. Many renowned artists designed the images, but those who printed the generally unsigned works have been lost to history or had been unknown prior to Takahatake’s research. Writing in the exhibition catalogue, the former Library of Congress conservator Linda Stiber Morenus says that while workshop records are lacking on the two to five print sequences that chiaroscuro prints would apparently undergo, “analysis of the physical evidence intrinsic to the prints themselves enables us to infer the process”. By studying other historical sources, such as Giorgio Vasari’s and Cennino Cennini’s writings, the conservators made their own woodcuts to identify several ways of emulating Renaissance prints and understanding why there could be so much variety in prints from the same block. “Distinguishing the printing procedures typically followed in a particular workshop can help to establish its ‘signature,’” Stiber writes. “Taken with other art historical evidence, these characteristics can clarify the workshop origin of impression” for works with a questionable attribution. The conservators also analysed 72 prints in the exhibition to better understand the pigments that were used. “Until more recently, that kind of analysis just wasn’t possible,” Takahatake said. That is in part because the standard book that art historians had used for years to study these objects is in black-and-white, whereas new technologies have made it easier to disseminate and to catalogue colour images. Takahatake also found that she was able to identify and analyse 2,500 to 3,000 chiaroscuro impressions—100 of which are on view in the show—in 40 different collections worldwide and to create a searchable database of them in a way that would not have been possible a decade ago. “If I just had paper notes for each one, it would be very difficult,” she says, adding that the database catalogues everything from block condition to watermarks. Takahatake says that two particular impressions by Ugo da Carpi inspired by Parmigianino’s Diogenes, which hang side by side in the exhibition, demonstrate what can be gleaned from seeing chiaroscuro woodcuts in full colour. The harsh breakup of colour in one, which is the first of three print states, looks comparatively staccato and flat, while another, the third, creates a three-dimensional effect in which viewers optically blend the colours rendered in translucent inks.